While the traditional publication model relies on restricting access to published research to recoup the costs of the publication process, the open access publishing model treats publication as the last phase of the research process. Instead of charging users a fee to read the content, an article-processing fee is required at the beginning of the process. This charge covers the entire cost of the publication process. This includes peer-reviewing, editing, publishing, maintaining, and archiving, and allows immediate access to the full text versions of the research articles. 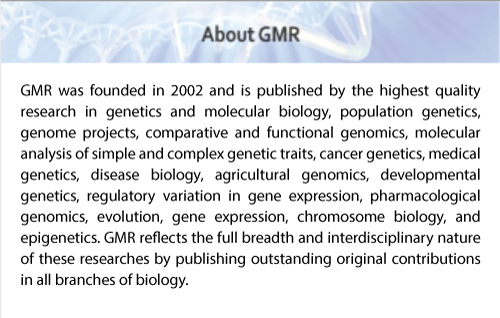 To provide Open Access, GMR uses a model to offset expenses—including those of peer review management, journal production, and online hosting and archiving—by article-processing fee to the authors, institutions, or funders for each article published. The publication fee for the article is 1450$. The given US dollar amount reflects the approximate current foreign exchange rate, and is subject to change according to the country. This fee covers part of the expenses for final language and technical revision, page setup, and online publishing. Author can pay the publication fee after the acceptance of article. After payment is received by our office, the manuscript will be further processed for publication, subject to final approval by our Editorial Board. Author should contact to editorial office [[email protected]] to know about the bank details for Publication fee. GMR charges publication fees for all articles accepted by the Editorial Board. This fee helps to finance journal production, online hosting, and archiving. Publication fee: The designated corresponding author will be informed by e-mail that the manuscript is accepted along with payment request. The corresponding author informed in the submitted manuscript is responsible for arranging fee payment and e-mail copy of deposit slip (with correct and legible remittance name) or credit card authorization and credit card details to charge it.